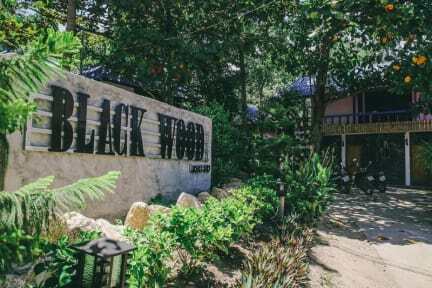 Black Wood Hostel in Ko Tao provides adults-only accommodation with a garden and a terrace. A 3-minute walk from Mae Haad Pier, the property is also 3.2 km away from Sunken Ship. Both free WiFi and private parking are available at the hostel. The rooms come with a private bathroom with free toiletries, while some rooms also offer mountain views. The rooms will provide guests with a toaster. The bungalows provide Fan only(no air-con), please check carefully before making a reservation. Also there are a lot of activities has provided at Black Wood Hostel. 3. Check out before 11:30. 7. Reception working hours 08:00-21:00. Such a great place with a great atmosphere. Clean, basic hostel but the common area relaxing in between trees is fantastic. The staff was great, helpful and generous. 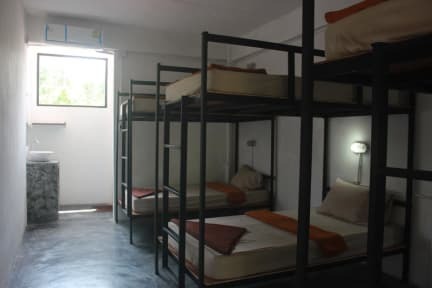 One of my favorite hostel in Thailand.